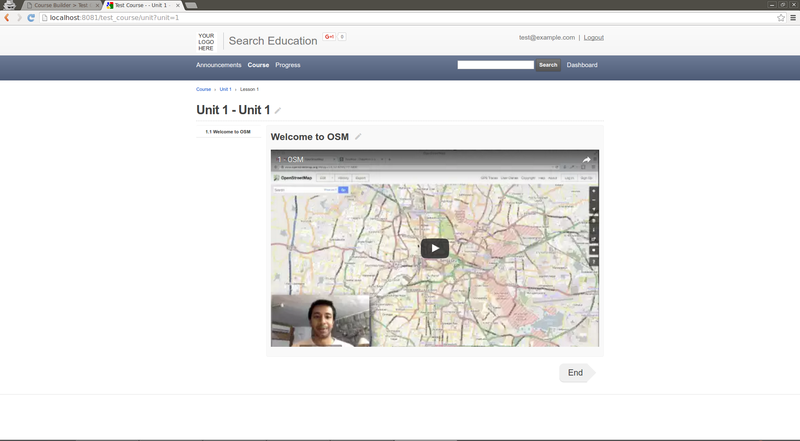 MOOCs (Massive open online course) is probably the best way to reach a set of learners whom you can’t reach otherwise. Its also the best way to reach thousands with just you as the teacher. That said installing and running a MOOC platform usually takes engineering skill, time and money. But lets say you are a small school or enterprise or a not for profit who wants to run on your own but doesn’t have enough capability. What if I say there is an option using the same software that is used by NPTEL (National Programme on Technology Enhanced Learning is a joint initiative of the IITs and IISc. Through this initiative, they offer online courses on various topics). Wouldn’t that be awesome. 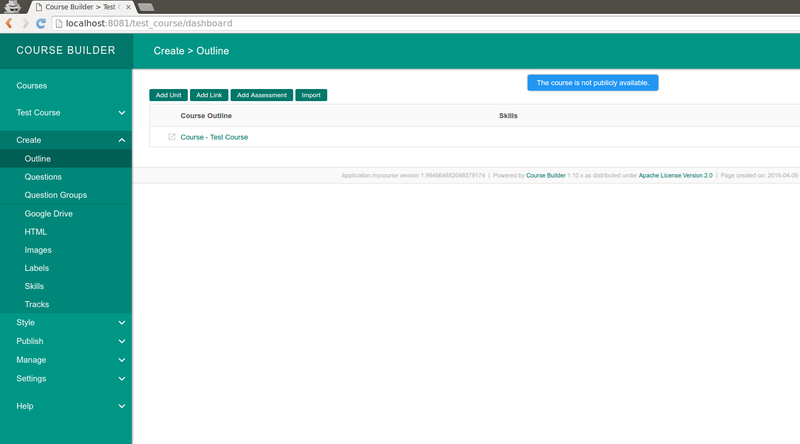 The software platform is called Course Builder. The core of it is open source and available on GitHub under Apache License 2. I am planning to write a series of how-tos. Please leave your comments or ask your questions using the comment box. Get copy of code base using GIT and then start the project. 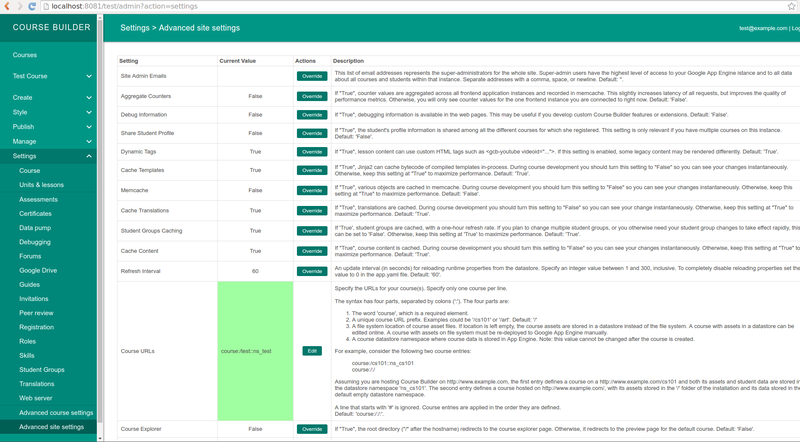 The script will download everything required and starts server locally for you to test and experiment. 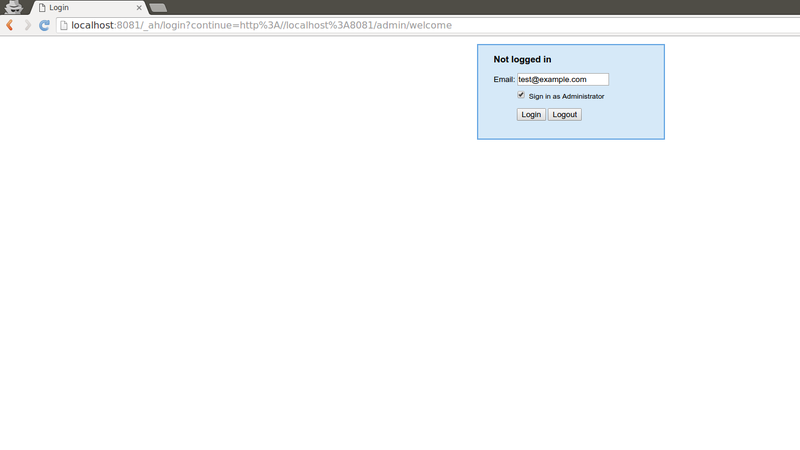 Login page on local dev server. This is only dev server feature. Welcome page on local dev server. This is only dev server feature. Home page of the Admin. Its empty as of now. It generally lists all the courses otherwise. 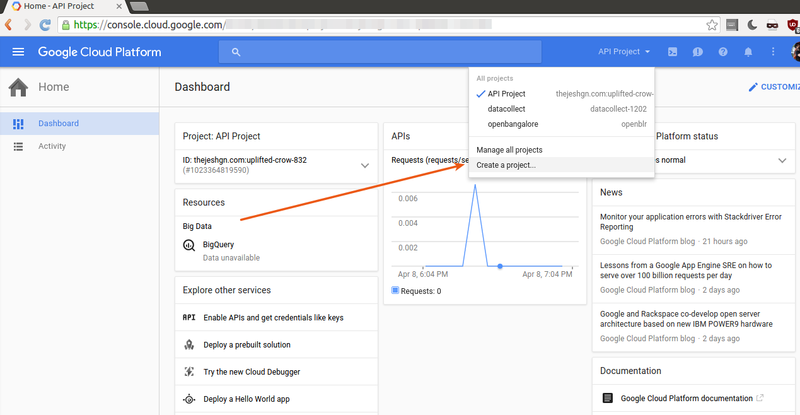 You need to create a project on Google App Engine. You will need a Google account for this. 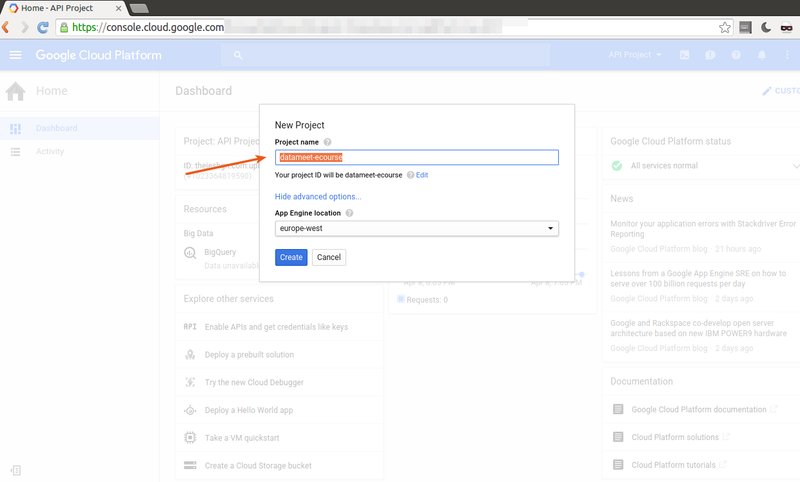 Create an App Engine project and note down the project name. Once you create the project note down the project name. Go to the project folder and edit the file ‘app.yaml’ and change first two lines to include your project name and version. Edit app.yaml to change project name (application) and version. Then deploy to app engine servers. 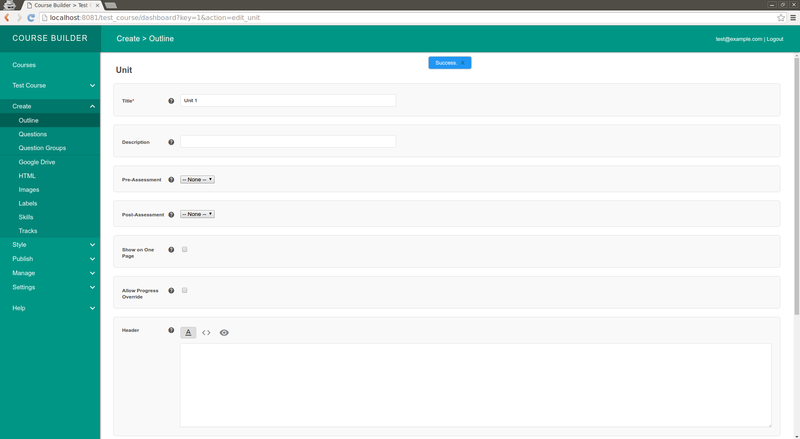 It will ask you login to app engine for deployment. Please login. Once the deployment goes through. You can go to the app engine url to access the application. 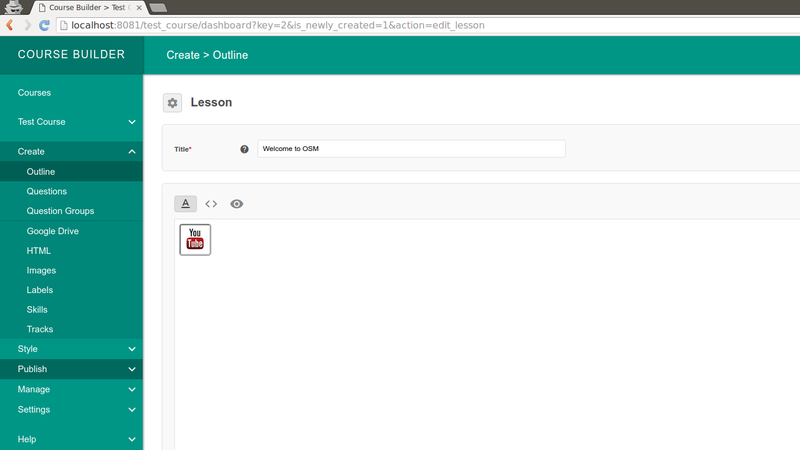 You can create the course very easily using the UI. UI is very simple and straight forward. I have few screenshots below with captions, just to show you how easy it is. 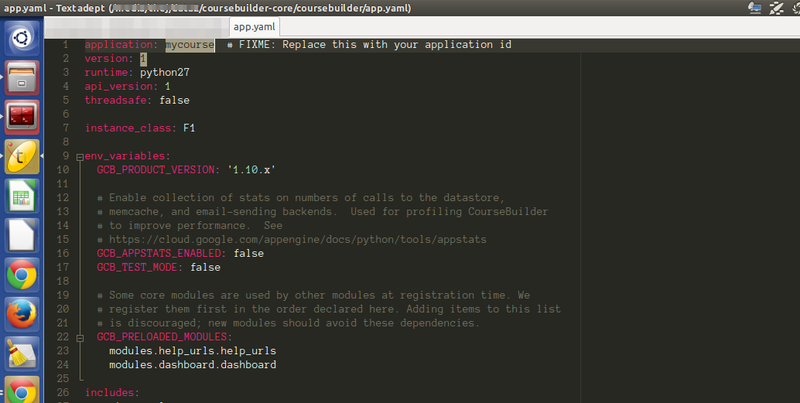 Admin – Add a new course. Admin home page with all the courses listed. 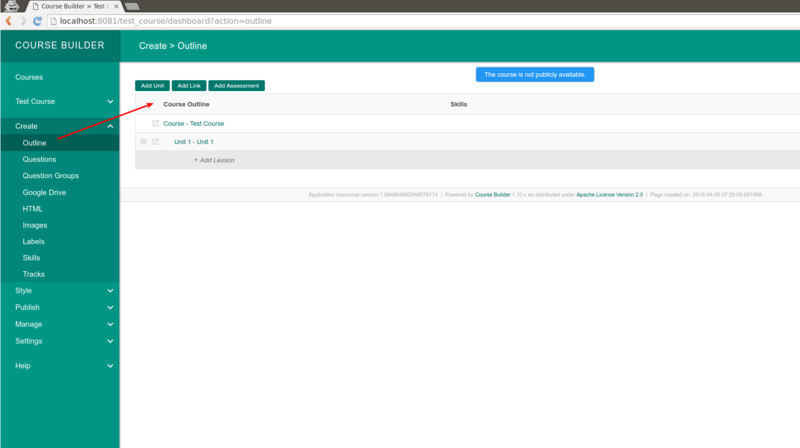 Admin – Course Outline, You can add course components here. Admin: Adding video to the lesson. Once you create the course, you need to publish it. There are multiple access levels available and as admin you are allowed to choose one of it for each course. I generally use public or registration required level of access. 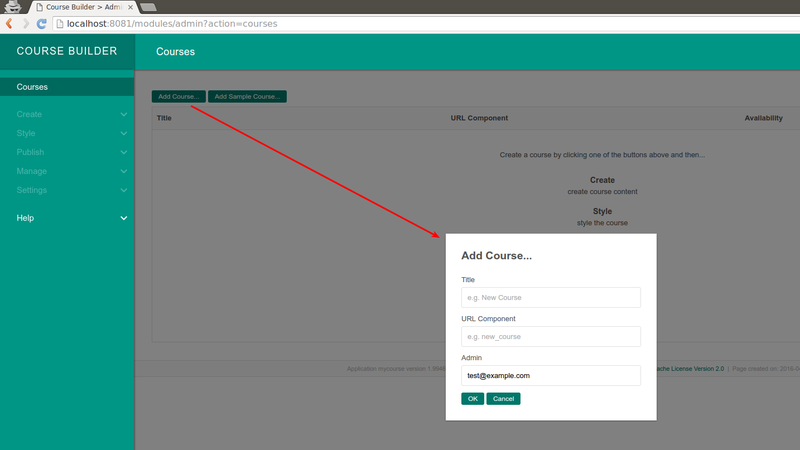 By making registration required you can track how many users are taking your course. 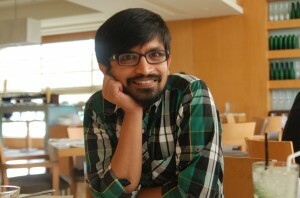 You can also build a user profile in long term. Admin: Publishing the course to public. User: Course page with registration required. There are many more course level settings available. We will explore them in the next few posts. There are many site level settings available for the admin to customize the site. 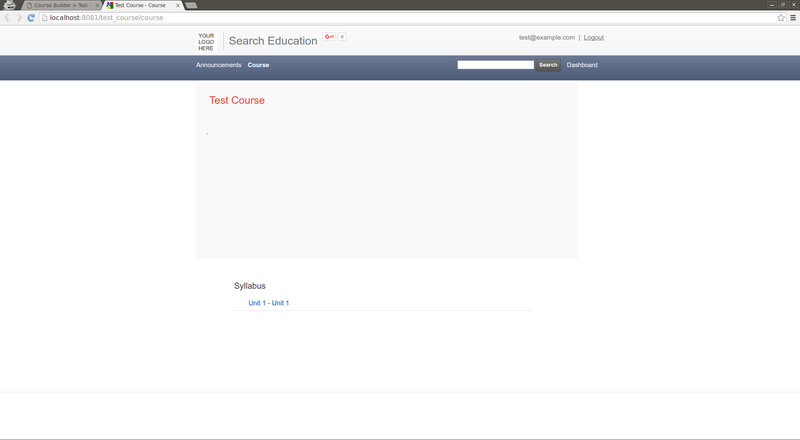 Once of the most important one is enabling the course explorer, so all the published courses will be available on home page. Explore other site settings. 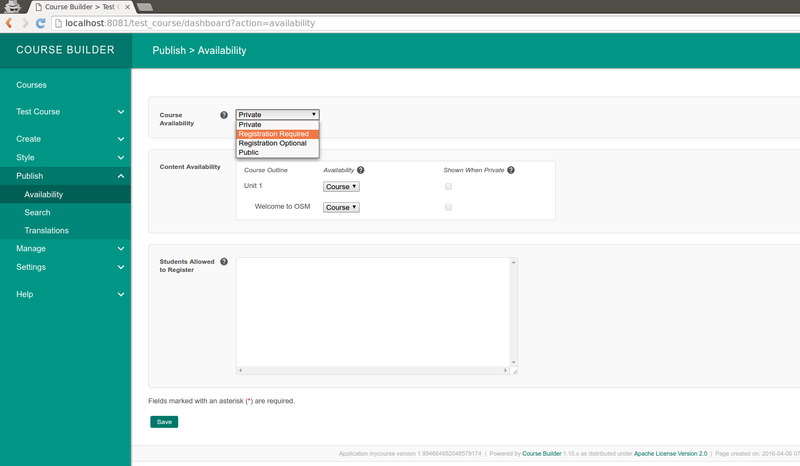 Enable or disable as per your requirement. 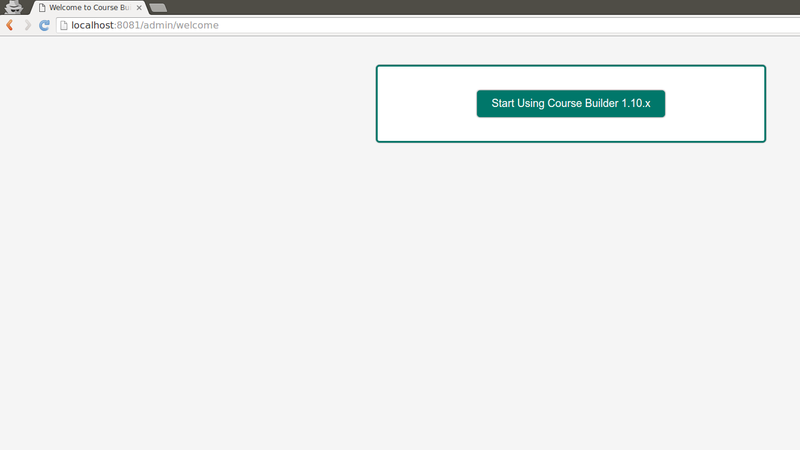 I will continue course builder series. 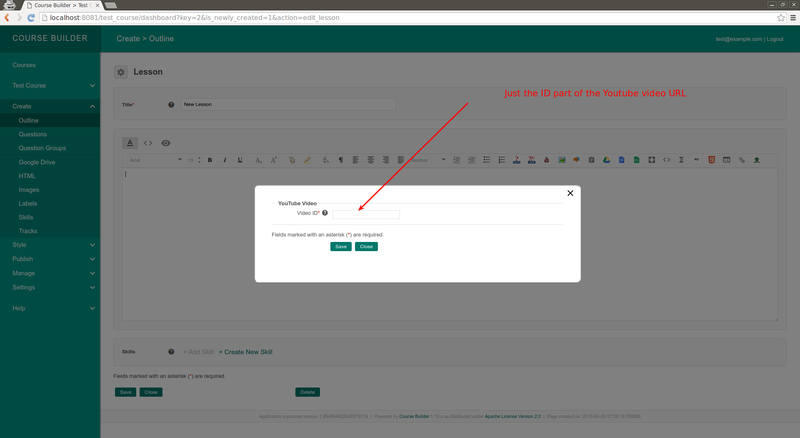 In the future posts we will learn more about customizing the look and feel of the site, How to create quizzes or tests for the course takers, How enable or disable modules and how to ad new functionality by creating a new module.